First Look: @ClevelandGolf's Smart Sole 3 takes the terror out of the short game. My buddy Todd is a great guy. He’s a good friend to all and an adoring husband to his wife. He loves dogs and volunteers his time to numerous charitable causes. You’d like him. Todd is also a golf nut, but practice time and lessons just aren’t in the cards for him because he has, you know, a life. He’s a high-teens handicapper who strikes the ball decently, is okay off the tee and is a streaky putter. But put him in the sand or anywhere around the green and joyful, fun-loving Todd becomes head-twisting, pea-soup vomiting victim of Satanic possession Todd. It’s time to call a priest. 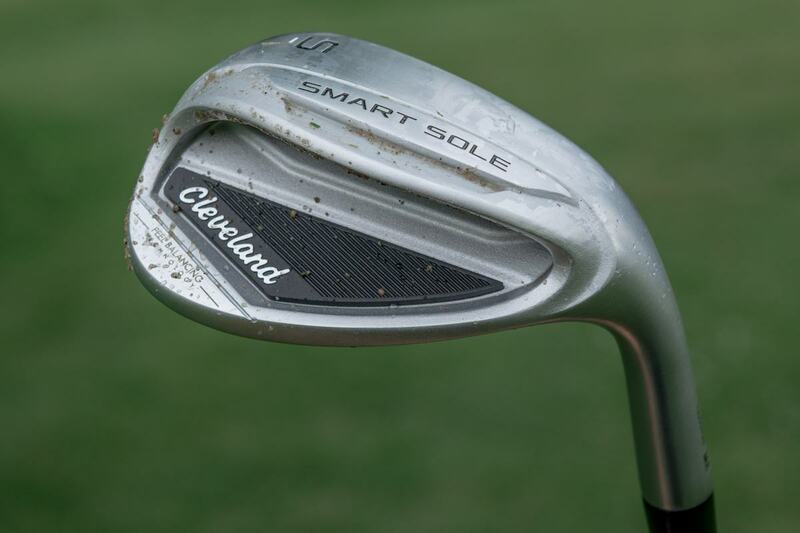 Cleveland is releasing the third iteration of its Smart Sole wedge offering this week, much to the horror of golf’s Torch and Pitchfork Nation. Get lessons! Cheater club! Learn to hit out of the sand! Some people only play golf every once in a while. And some – quite a few, actually – play golf just for fun, and there’s nothing morally or philosophically wrong with giving those folks a bit of help in the form of a super wide-flanged sand iron or – gulp – a chipper. 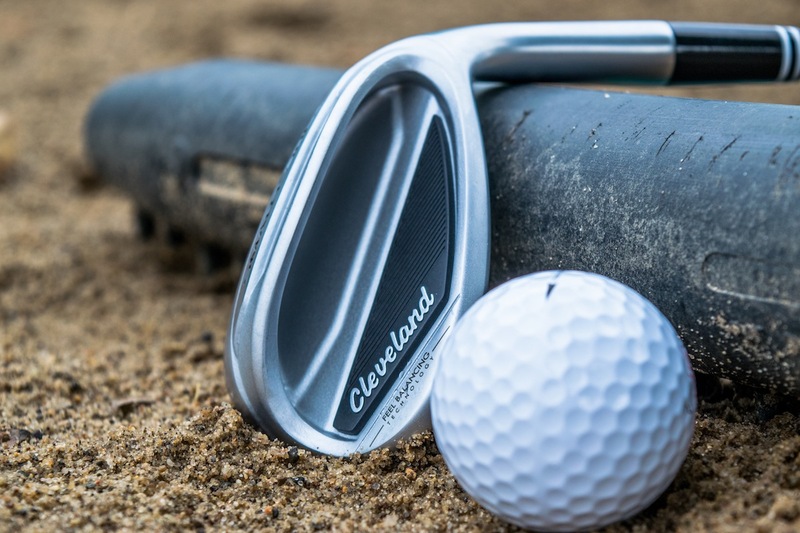 Cleveland’s Smart Sole offering consists of just two clubs – an S and a C. For the alphabetically challenged the S is for sand and the C is for chipping. We’ll discuss the philosophical rationale for sand irons and chippers in a bit, but let’s get the tech stuff out of the way first. Smart Sole 3 is loaded with 3’s. The S and C have 3 key tech upgrades from previous models: Cleveland’s Feel Balancing Technology, optimized loft and a really, really wide three-tiered sole. 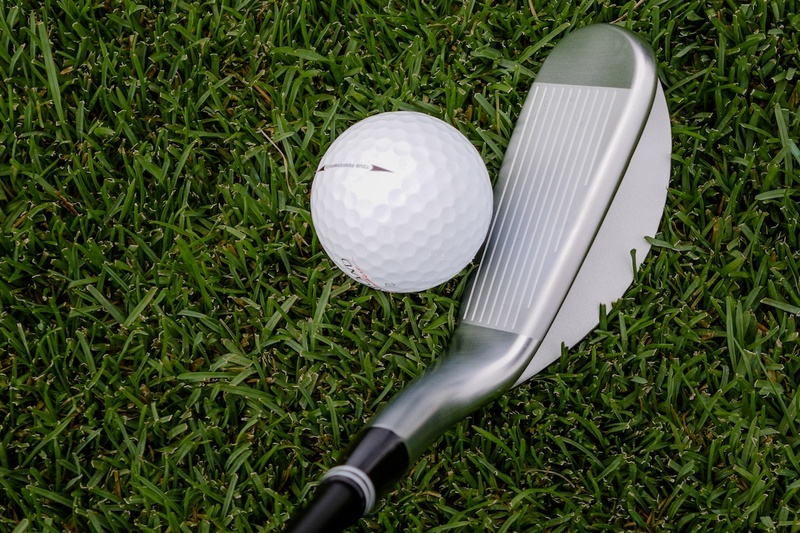 Feel Balancing Technology moves the wedge’s CG more toward the middle of the face, which helps forgiveness on full shots, while the three-tiered sole makes the club more useful from both the rough and the fairway. The net result is the ability to take a fuller, more aggressive swing in the bunker. Cleveland’s internal test panel of 31 golfers with handicaps of 12 or higher compared their gamers to the Smart Sole 3 S and found they were 50% more likely to get the ball out of the bunker, and 30% more likely to land the ball on the green. The C also has a three-tiered sole and Feel Balancing Technology, but Cleveland has changed the lie angle a bit in this version. The loft is still 42 degrees, but the club itself is shorter and more upright. You won’t find Cleveland’s Rotex face on either club. The C is your bump and run club, so spin really isn’t a factor. You want to get the ball to the hole, not check up and dance. With the S the ball never really touches the grooves – you hit the sand and the sand hits the ball – so there’s no benefit to optimizing spin. Field testing of both products has been interesting. The C is the ultimate bump and run tool – very little carry and a ton of roll – and it’s virtually impossible to stub or chili-dip from the fringe or rough near the green. You still need to develop touch to get close to the hole, but at least you’ll get the ball moving in the right direction. The S is just plain fun to hit. Chipping and pitching are easy like Sunday morning, and again, it’s virtually impossible to stub or chili-dip. You’ll get more carry with the S, but don’t expect to be able to open up the sole and add some spin – that’s not what this club is for, and that’s not a skill the intended market generally possesses. Out of the sand, the S is just plain silly. Again, you can’t open the face up, but that’s where the 58-degree loft comes into play – you simply don’t have to. The S does an amazing job of getting the ball up and out of the sand, but it’s a bit too blunt of an instrument if you’re a golfer who wants to attack pins from the bunker. But again, that’s not what the club is intended to do nor is it who it is intended for. 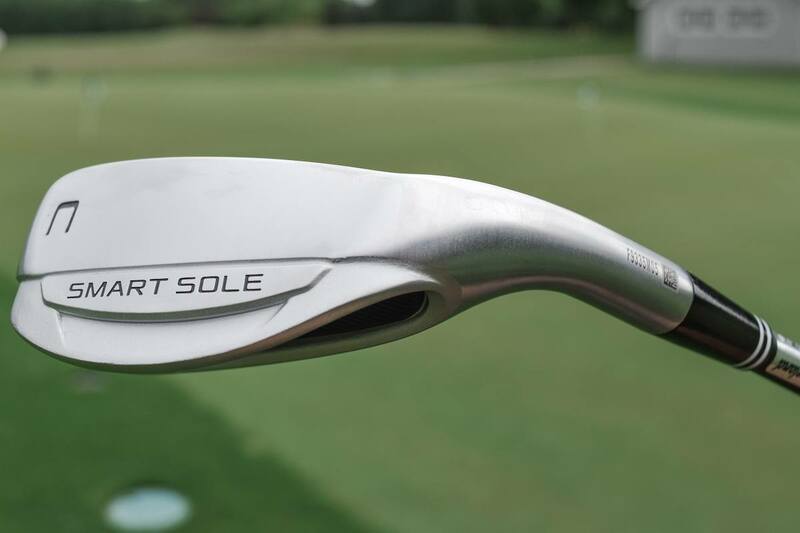 Clearly, the intended market for Smart Sole 3 is your basic mid- to high-handicapper who is scared to death of landing in a bunker or chipping around the green. You know those guys – their whole body language changes, their shoulders slump and the whole fun part of the game starts turning to crapola. None of us came out of the womb knowing how to play this game, and as far as the short game is concerned, for every Luke or Phil who can get up and down with ease there are 100,000+ Todds struggling just to get up-up-up and down. With that as a backdrop, it’s important to look at Smart Sole, and this entire product category, philosophically. Cleveland thinks of it all as a kind of a pendulum. Perhaps some perspective is needed. It’s very common to find a better player, or even a Tour pro, packing a hybrid or two in place of their long irons. When you ask why they’ll tell you it’s because hybrids are easier to hit. Let’s let that little nugget of irony settle for a second. “There’s an ego struggle that keeps some golfers from buying the right equipment,” admits Rae. “As a result, they play worse. So for the high handicapper who struggles in the sand or around the green, switching to Smart Sole means he’s going to enjoy himself a lot more, he’s going to play more and he’s going to get better. 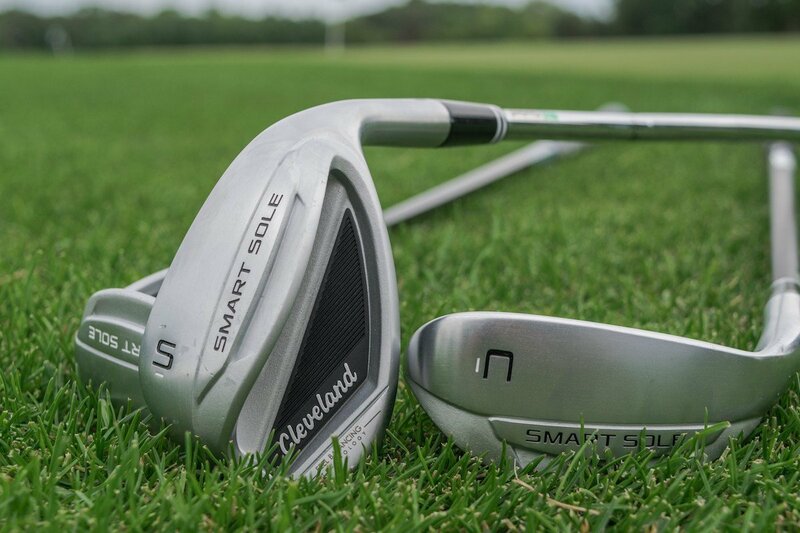 Fitting into Smart Sole 3’s S or C is a piece of cake – the only options you have are gender specific: it’s 58 degrees for the S and 42 degrees for the C. Standard shafts are the Smart Sole Steel or the Cleveland Wedge Flex graphite. 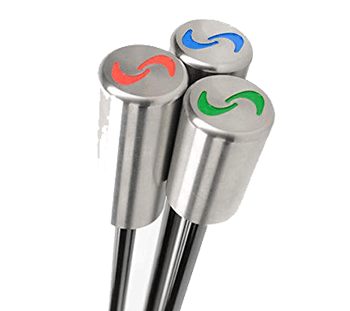 Stock grip is the Lamkin Blue Cap for men and the Women’s Smart Sole grip for the ladies. Both clubs are available now for pre-sale now on Cleveland’s website and at select retailers. Smart Sole 3 will be officially released July 24th. MSRP is $119 in steel, $129 in graphite. I purchased the new Cleveland CBX Sand wedge with the three tiered sole and it gets me out of the bunkers almost every time. I do have to think about opening the face. I only carry a 50 degree gap wedge and a 56 SW. Hit my SW around 90 yards. Trying to convince myself I need the Sole wedge for around the greens. Probably an 18 handicapper. Never get to practice or play much. Thoughts ? 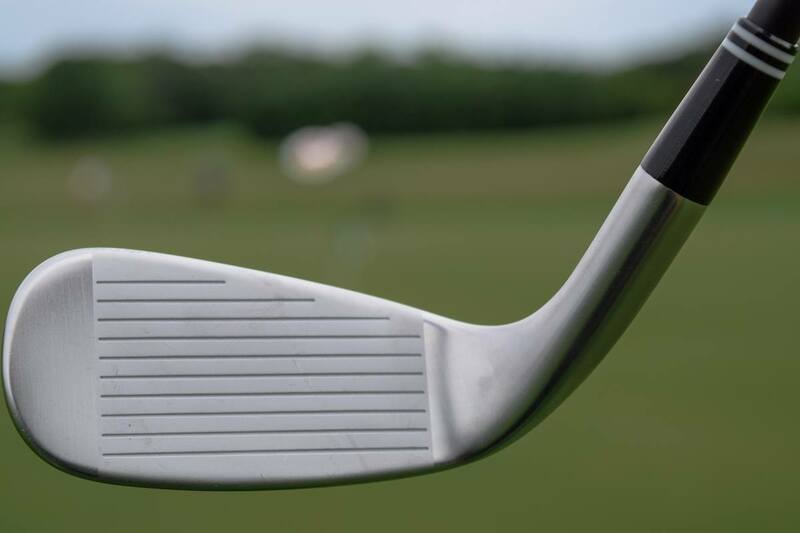 I have both the S and C in the 2.0 iteration…the S is one of my favorite clubs in the bag. I don’t carry a handicap, but break 90 almost every outing. The thing with the S that impresses me the most is how easy it is to chip and pitch with. I can’t get any distance out of it though and it doesn’t really feel natural to be hitting full shots with. The C club…I could take it or leave it, the thing that it does that I like is it’s pretty easy to hit a knockdown shot with and also is really good when you are trapped behind a tree or in the woods hitting off dirt or leaves, it’s a good punch-out rescue club. All the talk of gapping- I carry a 52 degree gap, the 58 degree S and the C. I use the C for my 100 yard shots by using a 3/4 swing and playing it back in my stance, aim a little left and swing easy, voila…an easy to control 100 yard shot, anyting over that and I’m using my 52, anything under 75 yards and I’m using the S. These two clubs have saved me countless strokes and I no longer dread the sand or a tight lie around the green. Have both. They are amazing. And, the Smart Sole S is wonderful from 50 yards out. High, high lofting shots. Thought these were a no brainer for my wife who picked up the game recently and is solid in the tee / fairway, less so in the wedge game (skulls a fair amount). Went to PGA store and tried out the 3.0 graphites. I tried them first, was absolutely SKYING the S, thought the C was a bit of waste (although it does force you to play your hands forward), basically felt like a texas wedge. At any rate, my wife despised the feel of both clubs – guess the flange was too much on the S – so we left empty handed despite her getting some really solid practice shots out of the S (albeit on a mat). As a few year-old golfer I still struggle with many problems – sand being one of them. Blade the ball over the green one shot and drill for oil on the next. The most disappointing thing in golf is playing a really good round and then hit into the bunker and score an 8 on a hole. I love the game and practice when my busy life lets me (not often). The competitive part of me enjoys the lower scores. I play with GI hybrids (saved 8-10 strokes per round) and the Smart Sole 1.0 S (goodbye to another 3-5 strokes per round). I started in triple digits, broke 100, then 90 and then 85. From experience 85 is more fun than 105. They’ve helped my game and lowered my scores and I’ll keep playing them. The target audience approves these clubs. I’m rather shocked that Cleveland golf is still in business. I’m surprised the last photo used a Kirkland Signature ball instead of one from Sxrixon. These are great clubs. Many short games would improve overnight. Do the test- the info will be interesting. Make sure to have BETTER PLAYERS also test the Smart, Callaway. an Alien Great Escape, etc.. Any one who says a Hogan sure out is the same as any of these clubs is an idiot and knows nothing about club design or dynamics. I won’t try to give anyone a lesson in sand, pitching, or chipping- but I can comment on 61 years of playing experience at a 0 at my best to a 12 when my business career made playing a truly seldom occasion. In the early 90’s as I turned 50 my close friend closed his golf repair business and went to work for a huge single store golf retailer in No. Calif.. On one of my trips back home I met him in Carmel for a day of golf. 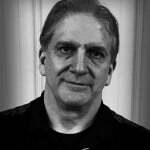 My buddy was an excellent player and a traditionalist in every sense of the word. I went over to his car, as I approached he tossed me an Alien hat, I chuckled, and then he showed me 20 hats and 20 Aliens in the trunk- much conversation later(Pat Simmons told him he was Mr. Alien, since he personally sold more Aliens than anyone in the US, and how he had to practice with it to understand how to use it) we proceeded to play. My friend at 64 was a 1 and his club Champion and he was using this abomination. On the second hole, a par 5, he hit his third shot(from an impossible lie) to a foot. He was a little strong on the next par 3 and had a devilish downhill chip- Alien perfect soft little chip in the hole. In the next 16 holes including the par 3 we were on I must have hit 70-80 shots with the Alien- NO ONE BEHIND US- plus another 40 or so until the next group caught us on 18. I was sold. I have met several great players professional and amateur that have been Alien players, and once played 18 holes with Jerry Pate in Alabama- jokingly inspecting his bag I asked” where’s the Alien”, quickly he said that in the infomercial where he chips one in the hole from off a rock that it was the first take. He immediately spied my Alien and hit probably 40 shots with it during the round. He said he could never one in competition because of the peer pressure he would get. He hit as good(NEVER WORSE) or better shots with the Alien as he did with his own wedges. Any player with good hands and a good short game would benefit 2 shots a round with a game improve wedge in the 58-65* range. 25 years and my Alien is still in the bag. Are you concerned about score or ego- It’s your choice. Great review and I may get this club just for the Monty Python reference (figure it out if you don’t know). Also, my game currently follows the problems with sand and short chips discussed. If I practice, practice these short shots, I can relax and get decent again, but this fades if I take a break for a couple weeks. However, I do have the same concern as Dave S about my wedge line up. I just bought new Mizuno GPX-900 forged, so have PW at 45, GW at 50, a SW at 56 and a lob wedge at 60. These fit pretty well, but if I sub the 58 degree S wedge, that is too close to the lob and probably not what I want for the 100-110 yard fairway shots. Any ideas are welcome for how to adjust if I get the S wedge. 4 shall be right out…. All the same design. Heck the hogan “sure out” I think it was called. I would buy the cheapest if your a high handicapper as it’s all the same huge flange /bounce hunk of metal design. I have the S and it works pretty much as advertised out of sand. It’s not gonna get you out every time, or close to the pin, but it’ll work more times than not, and way more than a traditional SW if you’re not practiced at that skill. I haven’t been using it to chip around the greens (I’ve always used my 60 deg for that), but I’m thinking about trying it after reading this. The main issue I’ve had is my wedge gapping and set make-up. With this being 58 deg, it seems silly to continue to carry my 60… but given the somewhat limited applications of the smart sole (bunkers and straightforward chipping around green), I’m weary of removing a club that has a grind allowing me to open the face when i need to (I’m a 15 hcp, so not terrible). B4 the smart sole S, I played a 46, 52, 56, 60. I recently got some more forgiving GI irons that have a 44 deg PW, so now my wedge gapping is all over the place: 44, 52, 58, 60. Any ideas? I’d prefer to not buy all new wedges, but I also do want to have unmanageable gaps. I’ve been considering doing the following: buying a 50 deg gap and bending it to 49, getting a 54 deg, keeping the SS 58 and adding a 62 deg PM grind. That adds one extra wedge to my set make-up tho, which means a club at the top end would need to come out. How does the SS work on full shots? Do you get enough distance out of it to even consider it for full shots? Decent spin? The first time I tried to hit a full shot with it I s****ed the hell out of it. That’s probably more on me than the club, but it’s def got a heavier swing weight (which helps out of bunkers), but threw me off a bit hitting from the fairway. I’ve heard reviews from other saying that it’s great on full shots so I guess it’s a personal thing. I’ve always been more prone to s**** with my SWs anyway, must be something about the weight (or be totally in my head… which is more likely!). I watch a great drill on bunker shots from the Golf Fix. All you need to do is practice this drill. Draw 2 parallel lines 6″ apart in the sand, line up the inside of your front foot with the front of the back line. Practice your swing by taking out the sand between the 2 lines. Once comfortable with the feel of the swing put your ball on the front edge of the back line and hit some shots.. This will work. It fixed my bunker play instantly. Think I will just stick with the RTX3 and call it good. Ok, let’s not pretend this is anything new. Wide rounded soles on sand wedges have been around for years. Moe Norman’s “Sandy Andy”, Ram’s “Recovery” Sand wedge, Alien wedge, XE1, CEi, a bunch of different Maltby/Golfworks wedges….all a pretty much the same design without Callaway’s prices. Are Callaway’s improvements worth the extra price? Only if you have money to burn, I guess. I’ve hit most of the previously mentioned wedges and they all pretty much performed the same. I liked the Maltby’s because of their quality construction but none of them stood out on performance. 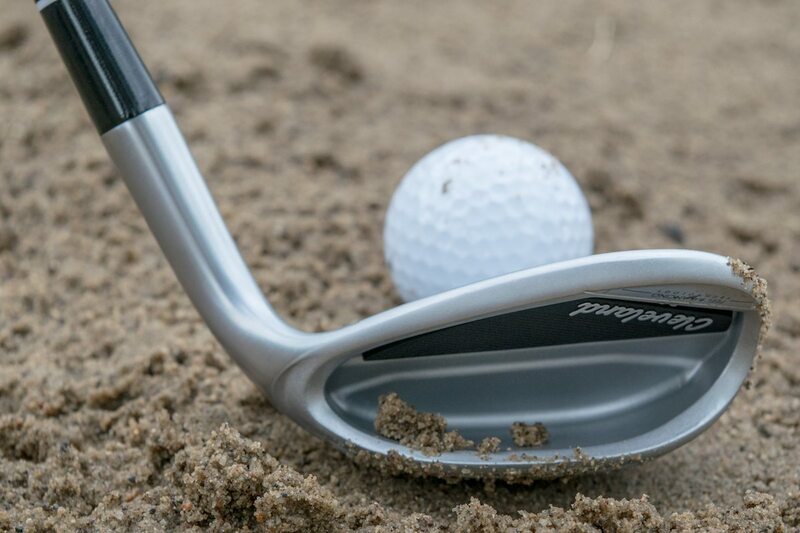 Even with these wedges you do need to practice out of the sand…maybe not just as much as with “conventional” wedges. I have these wedges and love them, but I wouldn’t know if Callaway’s improvements are worth their prices because they’re made by Cleveland. The old Hogan “Sure Out”… I have a couple in my garage… big wide flange, forged, beautiful… and they worked for me when I was a 15-20 years ago. I could get out of the sand with a 1-iron now if I had to but those gave me a lot of confidence when learning the game. If yoy have thé proper technique AND thé correct tempo ( Smooooth! ),you don’t need a wide flange to exit a sand trap .Open your stance ,open your club face ,more or les s according to thé distance you want to carry thé ball ,slip thé club face under thé ball ,and you sail out ! Got the Tour Edge version, called “1 Out”; it’s 58-14 and D8 (I think). Very very happy with it – not just in bunkers but works well for all kinds of messy lies! Florida guys should give this a try on the Bermuda grass around the greens. Damn. I just bought the Smart Sole C and W in the 2.0, and then these new ones come out. Well, they are sensational clubs and really do a great job bringing my score down around the greens. And the S is a wonderful club for high, 50-60 yard shots. I just did the same thing , but only the S. Kind of annoyed, but at same time, I got mine for $80 on eBay instead of $120, and there’s no way they’ve actually improved the tech in any meaningful way… it’s all marketing hot air. I do like that they went with a normal finish for the new one and not the black; makes it look more like your other clubs and less obvious. I’ll be the first to admit that I’m a little gun-shy pulling mine out w my buddies… shouldn’t be embarrassed, but i am, slightly. I’m about a 15 hcp but am TERRIBLE out of bunkers so I’m willing to take a little ribbing to shoot lower scores and have more fun. I just replaced my 2.0 C and W wedges with these and I cannot tell any difference between them, so don’t be too upset. I do prefer the metallic finish of these over the black 2.0’s though. Most of us don’t regularly play courses with tour level fluffy sand. More often than not it’s a bit on the hard side. Curious as to how the S performs in different sand conditions. Short answer: not well. If you’re playing munis w harder sand, this club will have the tendency to bounce off it, creating skulled shots. If the sand is hard, you don’t even play it like a bunker anyway, you just play it like it’s a normal shot from the fairway. I play these course a lot too, so I just put the club in that i’ll need depending on where I’m going… $30 muni = regular SW; nicer/more expensive course = Smart Sole S.
I completely disagree. The sole is wide, but there is very little bounce compared to a normal sand wedge. My handicap is 14 and I am a good ball striker, decent putter, but HORRIBLE from around the greens. 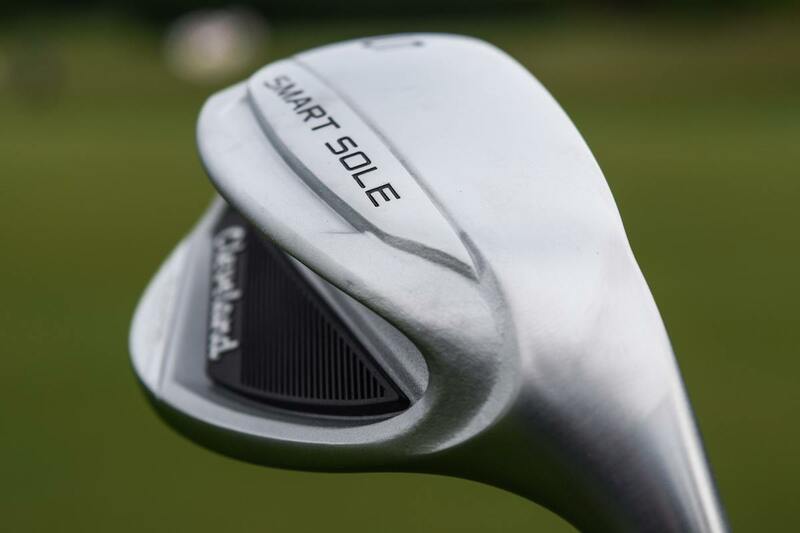 I have yet to encounter a lie that the Smart Sole S wedge isn’t easier to hit from than a regular sand wedge, including tight lies and hard sand.